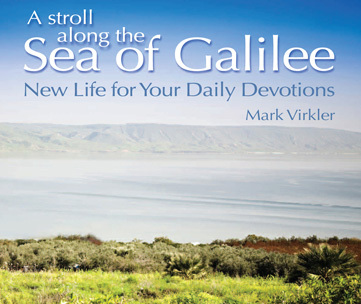 Home » Blogs » Mark Virkler's blog » God, What Is Your Vision of My Finances? God, what is Your vision of my finances, and what conditions do You want me to meet to see these blessings released in my life? Jesus: I have great promises for you and for your life. You have no idea the extent to which I desire you to prosper. The only limitation is your ability to receive from Me. I can show you things from another realm - the heavenly realm that are far beyond your imagination and ability to dream. I am so willing to reveal these things to you, but you must learn to leave behind the limitations of this earthly realm. That is why I said to be renewed in the spirit of your mind and to not be conformed to this world and its ways…My ways are far greater. The world is much concerned about money, especially right now. The only concern you need to have is about developing generosity of heart and following My ways. You are doing well in this area, and you can see that I have provided for you because you are willing to let go and give when I ask you to. But you are limiting yourself in the area of creative finances. You don’t see yourself as someone who could be successful as an innovator or as a steward of greatness in the area of finances. To the extent to which you build your faith in this area, then I can move in your life with greatness. I gave you an invention in 1998, and you have yet to develop this …I have given you ideas for books to write, and you have yet to develop those. I have given you wisdom for purchasing property and turning it into ministry. But you have yet to develop this. You are waiting for everything to come to you and be in order, but that is not the way that I work. I work through obedience to each step. As you listen to Me and then obey the first step, then I will take you to the next step, and so on. This is how I develop plans in your life for success. Sometimes the steps of obedience don’t even seem to be related to the goal, but as I change your heart and you put things into motion in the spirit realm, then the goal is achieved. It will seem miraculous. I delight in pleasing you, and enjoy your surprise at My ability to put it all together. So, let’s go on an adventure. You will be blessed.